SARANAC LAKE, N.Y. — The number of electric-vehicle charging stations in North America is growing, but they're often few and far between in rural areas and that can leave electric-vehicle pioneers in the backcountry with chronic “range anxiety,” the fear that their batteries will run out and leave them stranded. More than 600,000 electric vehicles are on the road in Canada and the U.S. (including models with gas engines), according to the ChargePoint network. There are 4,562 total EV chargers in Canada, according to the Canadian Automobile Association, which keeps an accessible database of locations on its website. In the United States, there are more than 18,000 electric car charging stations and the number of outlets at those stations has more than tripled over five years to about 48,000, according to federal data. 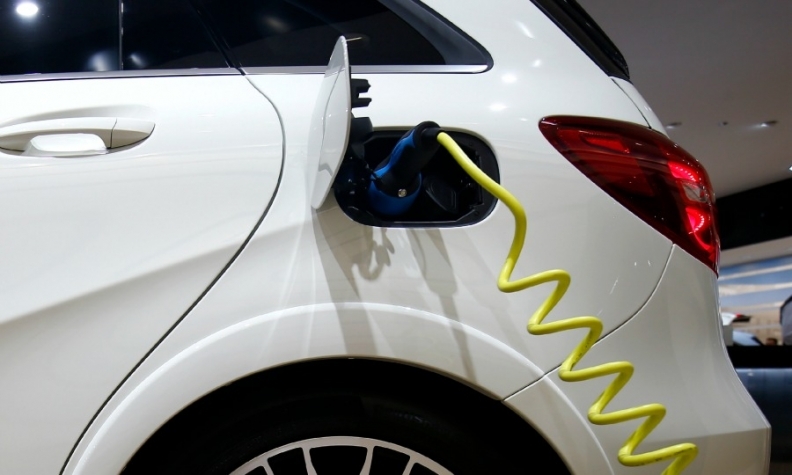 The Canadian federal Liberal government said in its budget, released in March, that it will be investing $21.9 billion in green infrastructure, including electric vehicle charging stations and electricity grid interconnections. And, Ontario is still has about 200 of 500 promised charging stations to install. But charging stations are unevenly distributed, with concentrations in California and populous portions of the East Coast. But backcountry electric-vehicle drives are getting easier every year with more stations and better batteries. Silke Sommerfeld and Rolf Oetter, a retired couple from British Columbia's Vancouver Island, demonstrated that with a just-completed 33,794-kilometre trip around North America in their Tesla Model X. The luxury car has a listed range of 474 kilometres, much farther than most electric cars on the road. Towing a camper that reduced their range, they spent months travelling east across Canada, down to Florida, west to California and back home to the Pacific Northwest. They relied on Tesla's infrastructure of “Supercharger” stations that can power a vehicle in less than an hour. They also used campgrounds for charging in remote stretches, like between Calgary and Toronto. “We had a few nail-biters, mainly in Canada, not so much in the U.S.,” Sommerfeld said. "But we always made it with at least one kilometre of range left." While the Tesla Model X can cost more than $100,000, longer ranges are also becoming available in more affordable models, such as the 321-kilometre Chevrolet Bolt, which starts at about $43,000, before government tax credits. "The most important thing we can do to contribute to the EV ecosystem is to deliver on a really compelling vehicle for consumers. And we've done that," said Chevy spokesman Fred Ligouri. However, in Canada, the Bolt is only available to customers in the country’s three most populated provinces; Ontario, B.C. and Quebec — three provinces which also offer government incentives to those who buy electric vehicles. The Volkwagen e-Golf will also be available in only those three provinces, and Manitoba, too. For many electric vehicle drivers, the issue is not kilometres, but hours. It can take three hours to fully charge a car on the common "level 2" charger, which is like a clothes dryer outlet. Sunita Halasz has tips for "driving electric" along lonely roads in New York's Adirondack Mountains: know the locations of charging stations, bring activities for the kids during three-hour recharges, turn on the energy-hogging window defroster in just 10-second bursts. And have a backup plan. For Art Weaver and his wife, that means budgeting two to three hours each way for charging his Nissan Leaf on 100-mile (160-kilometre) trips from their home in New York's Finger Lakes region to Rochester. "Everyone thinks it's a big deal _ that you're inevitably going to run out of electric fuel. It's not true," said Weaver, who lives near Ithaca. "It's just that it can't be a no-brainer activity anymore like finding a fossil fuel service station."